For use with pencil, pen or markers. Very transparent, with smooth surface 25-lb weight. 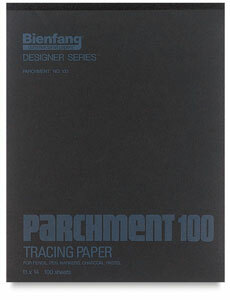 40 gsm. 50 and 100 sheet pads.